Avocate au Barreau de Paris and Italian avvocato in Rome, Gabriella Sagarriga Visconti has more than twenty years of professional experience in civil, commercial and private international law, advising and litigating especially in the areas of real estate law, distribution law, family law, personal injury and liability law, and banking law. Gabriella Sagarriga Visconti has acquired extensive experience in both countries. 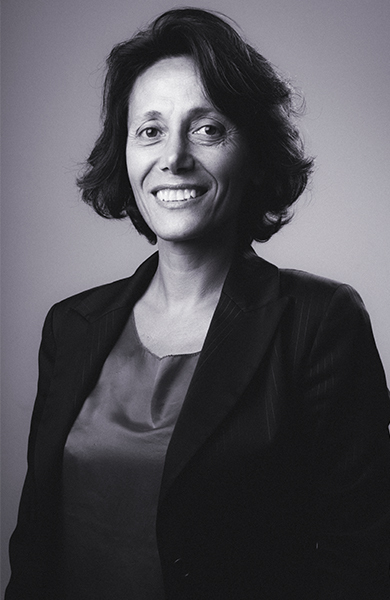 In Italy, she worked with the law firms Piergrossi Villa Manca Graziadei, Massimo Manfredonia and Ughi & Nunziante. In France, she has been a Consultant to CastaldiPartners since 2009, while also working privately in her own practice. Gabriella operates in her fields of expertise indifferently in France and in Italy and assists a client base mainly composed of individuals and SMEs. Assisting Italian companies in France, in contentious matters concerning product liability, including proceedings relating to expert evidence. Assisting French and Italian SMEs in distribution law matters. Assisting natural persons, in France and in Italy, in matters concerning injury accidents with private international law implications. Assisting individuals in divorce law matters, both in France and in Italy. Assisting individuals in France in matters concerning the liquidation of matrimonial property regimes. Assisting natural persons in matters of inheritance law, in France and in Italy. Assisting Italian clients in a procedure aimed at obtaining compensation by the French Fonds de Garantie des Dépôts et de Résolution (DGDR) in the framework of the so named “Madoff dei Parioli” case. Assisting Italian clients in real estate transactions on the French territory, or in matters related to the management of their assets.